According to Japanese site Macotakara, their ‘Asian’ sources claim the next iPhones expected to be announced at a September 10 event will be known as the iPhone 5S and iPhone 5C for the rumoured lower-cost model. The latter is expected to be enclosed in a polycarbonate case. This isn’t the first claim the rumoured plastic model would be known as the iPhone 5C. Last month, Business Insider made similar claims, along with iLounge months ago. This new model has been rumoured to sport an 8 megapixel camera and have the same screens dimensions as the iPhone 5. 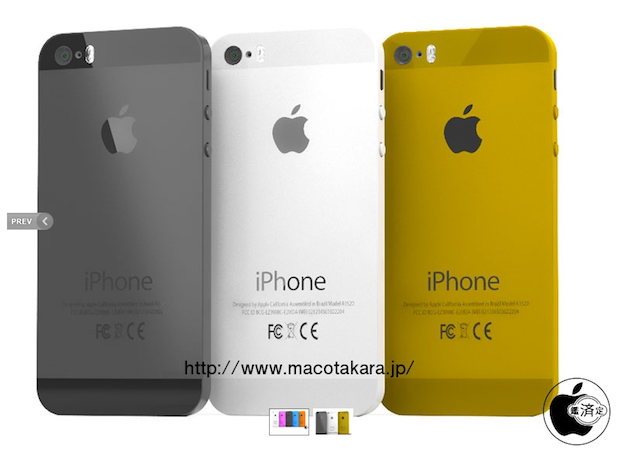 Other information from Macotakara’s sources claim the iPhone 5S will come with a third colour option (get ready): gold. Not only will we see a new third colour, but the home button will apparently lose the rectangle mark which has been in place since the original iPhone in 2007. Also, the rear camera will stay at 8 megapixels but the f-stop has been rumoured to have an increased aperture of 2.0, leading to brighter images in low light. Again, take these claims as rumours. It’s hard to believe Apple would release a new iPhone 5S in the colour gold, out of all the possible choices. Back in June, the site similarly made claims of a gold iPhone 5S at launch as well, which could be linked to the alleged leak of a gold-coloured SIM tray. 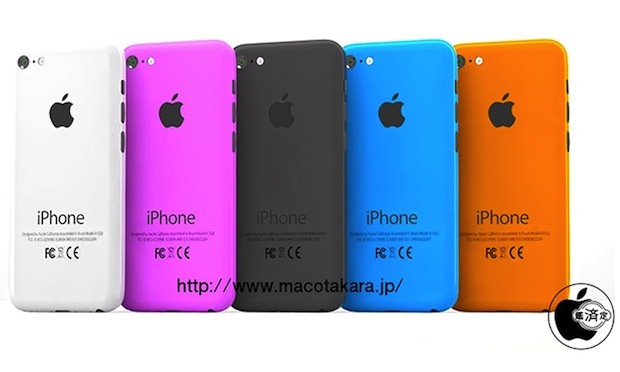 The lower-cost iPhone has also been rumoured to debut in a variety of colours as well. What are your bets on what to expect on September 10?